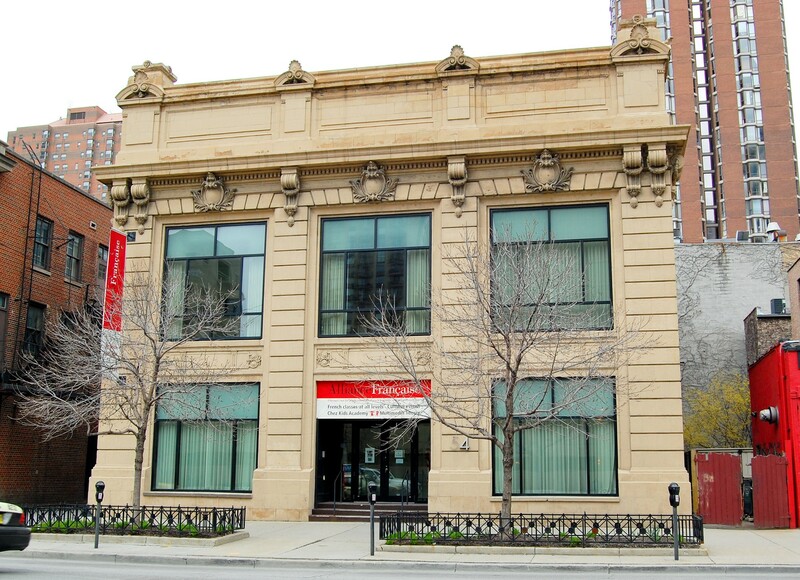 This impressive greystone is a prime example of the Italianate row homes that lined this stretch of Dearborn Street in the wake of the Great Chicago Fire, when many of the city's wealthiest and most influential citizens built homes nearby. 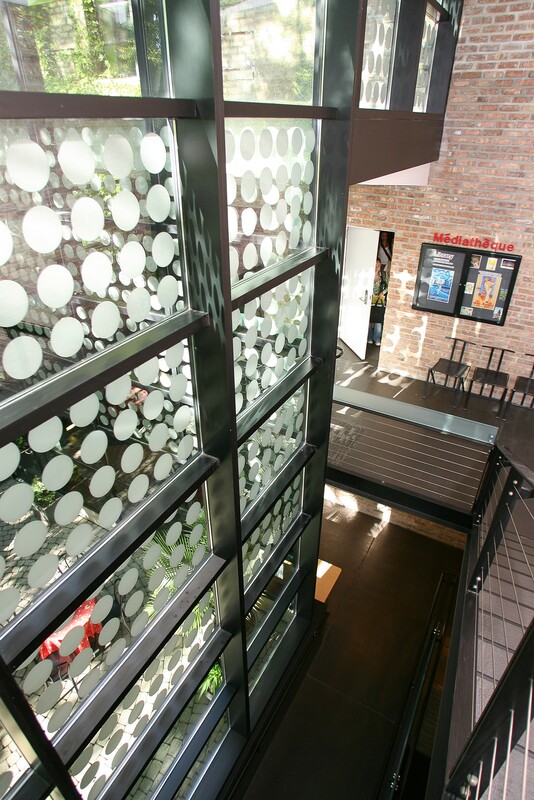 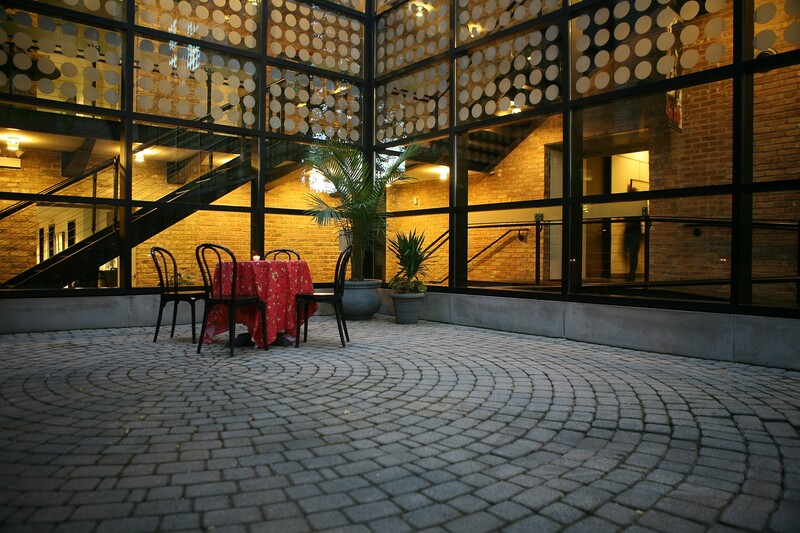 A 1998 renovation by DeStefano and Partners linked the original structure to a building around the corner on Chicago Avenue. 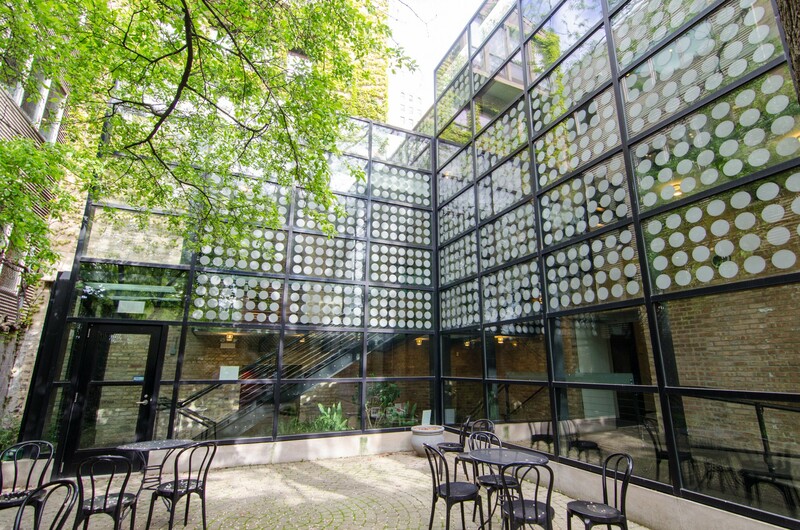 The link is provided by a courtyard and a steel-and-glass addition inspired by the 1930s Modernist Maison de Verre in Paris. 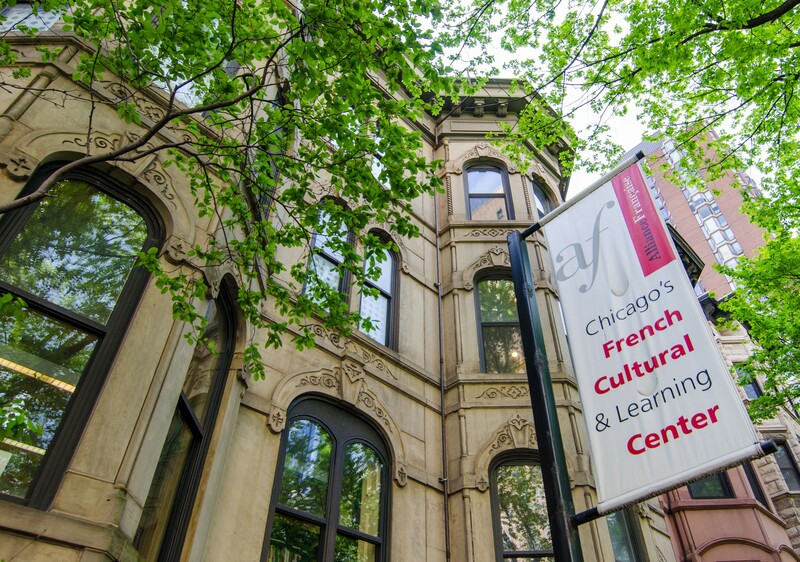 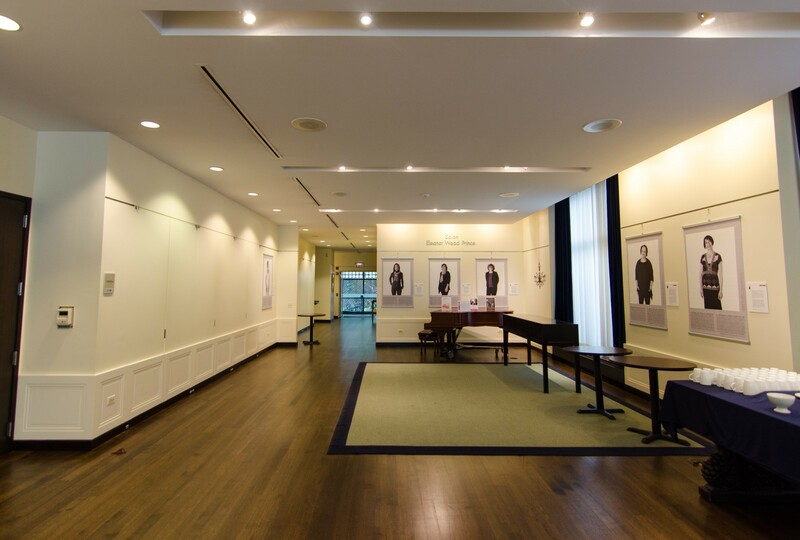 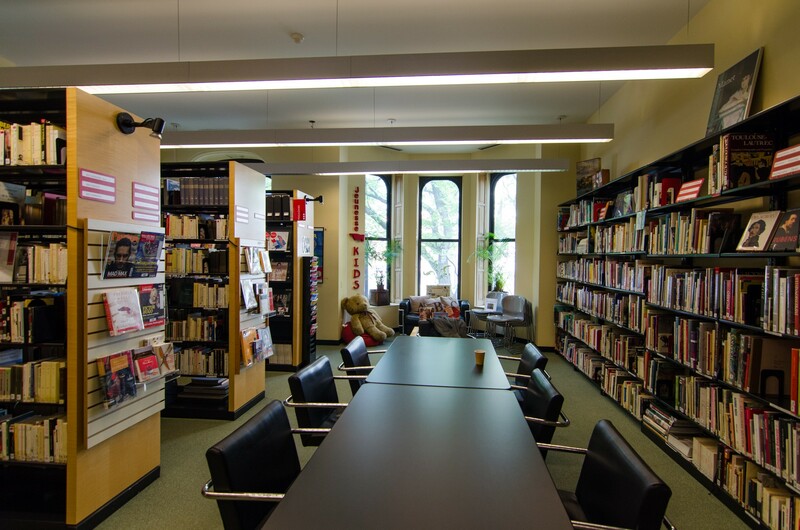 The Alliance Française, founded in 1897, is Chicago’s French cultural and learning center dedicated to the study of the French language, cultural exchange and friendship between Americans and French-speaking people.